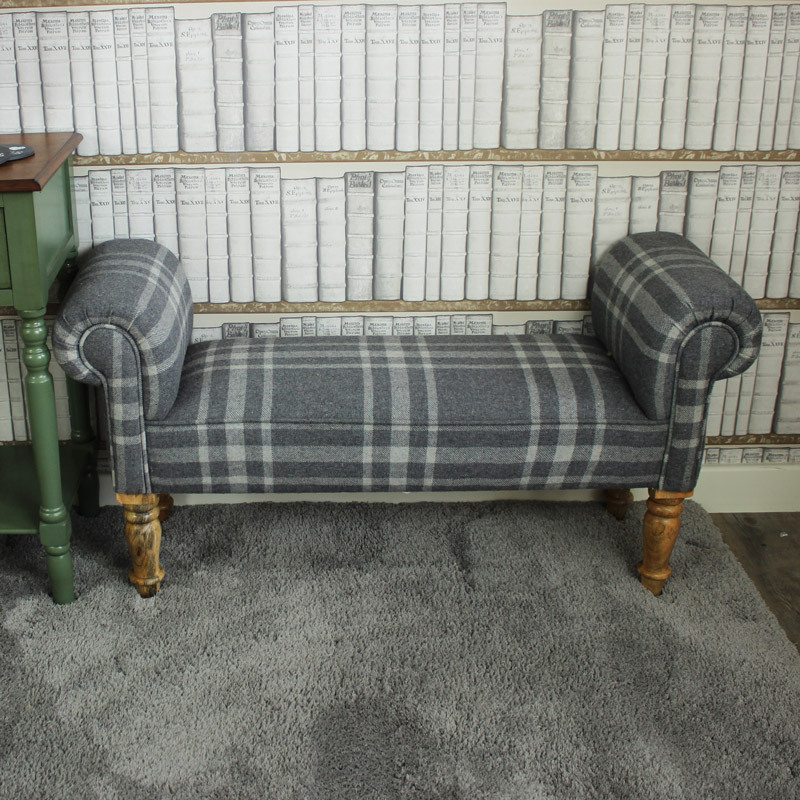 From the occasional furniture range, this upholstered Bench/Chaise is covered in grey tartan tweed and standing on oak legs that have been turned to give a solid finish. It has scroll arms and the front edges are beaded. It will look good in many room settings but definitely enhances the hunting lodge look. Its dimensions are 100 cm x 52 cm x 36 cm (width x height x depth). 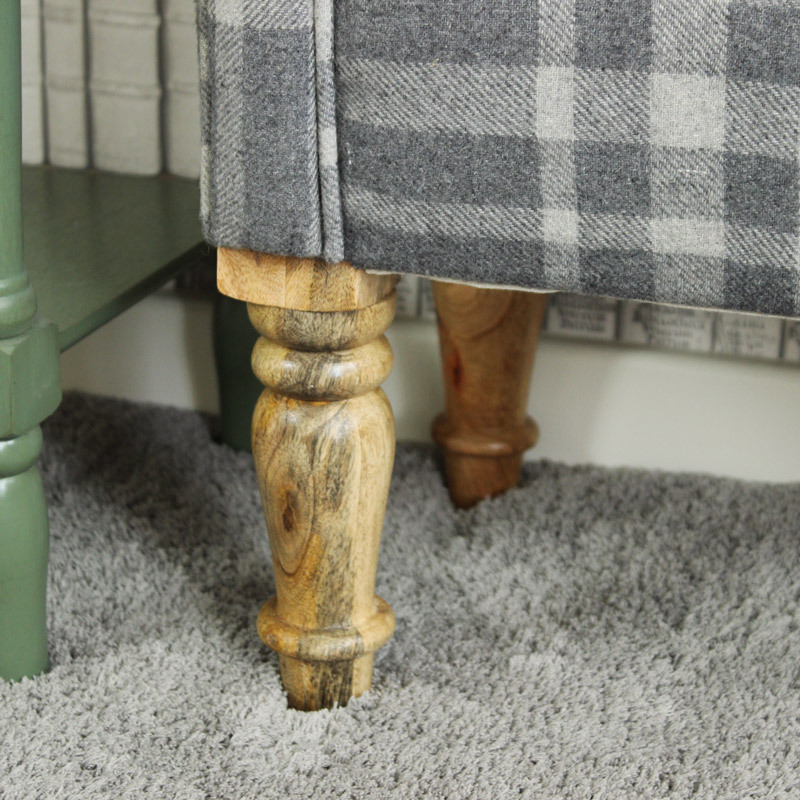 The legs on this Grey Bench are made from Oak wood. 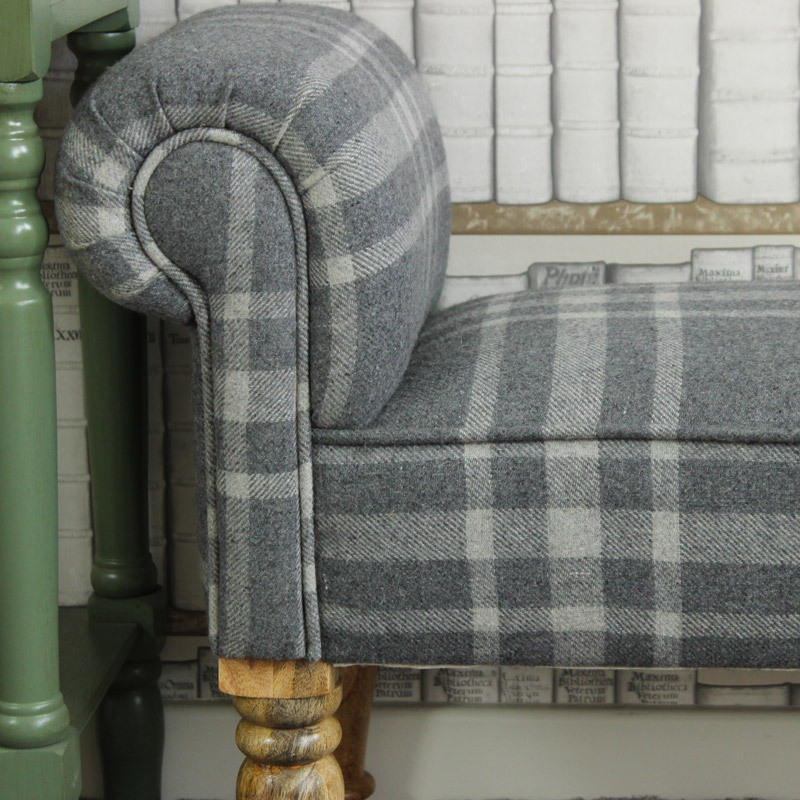 This Grey Bench will be delivered in 1-3 working days, same day dispatch and weekend delivery options are available at the checkout.